2019 is the year for INCREASE! I’m claiming increase in my business and all others! It’s a must that we increase our productivity to increase our profitability. When I think of all the things that go into maintaining a successful and sustainable business I immediately think about multitasking, time, schedules, and a load of other things. My mind immediately starts thinking of ALL things administrative. I’m sure you have the same thoughts (on a much bigger level) and I’m glad that you do. There is help for you! Hiring a Virtual Assistant will free up your time so you can focus on getting more clients and handling the big fish (as they say). By hiring a VA you increase your time spent on profit provoking strategies while your VA handles the backend. By backend I’m referring to follow up calls, cold calling, email marketing, invoice management, social media management, etc. Businesses that are growing can reduce the cost of hiring a full-time, in-office assistant by hiring a VA.
and the list goes on! You get the picture, right? It’s really a win-win work relationship! The best thing about becoming a VA and assisting other small businesses and entrepreneurs is that I get to choose who I want to work with and so do you. I’m loving it! FOCUS on core operations, you’re in the right place! Ashley Johnson, born and raised in Montgomery, is the proud mother to 2 blessed children Maddie and Maddox. Ashley served 11 years in the Army and was recognized as Soldier of the Year in 2013. She is a graduate of Columbia Southern University where she holds a B.S. in Business Administration/Human Resource Management. She is currently pursuing a Masters in Public Administration. Ashley is a member of Grace Community Church, her favorite Bible Verse is Phil 4:13! What Ashley loves most is giving back. She started her VA business in 2017 and has been on a whirlwind ever since. 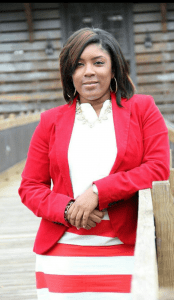 Becoming a VA and starting her own business (JAMM Resources) has allowed her to earn revenue and be more flexible for her family.